Are you looking for a printable rent receipt that is free to download and print? If you are a landlord with tenants and need a receipt to provide to them for their rent payment, see below. Our free rent receipt template can be downloaded, customized and printed. This will allow you, as the landlord, to document payment for your records and for your tenants. It is recommended to provide a receipt for goods or services received by you or your company, whether this is rent paid, a security deposit, late payments, or something else. Doing so helps you to avoid discrepancies or disagreements on payment amounts and dates down the road and protects your tenant by allowing them to show compliance with the lease agreement if necessary, provided they keep receipts and are able to produce them upon demand. Receipt Date – Date rent is paid. Receipt Number – Customizable receipt number – be sure to update this number for every receipt you distribute. Paid By (address…) – The person paying the rent’s name and address. Paid To (address…) – The person or organization’s name and address accepting the payment. Description – The description of what payment is for (i.e., rent for Apartment #23, etc.). Amount (Subtotal, Discount…) – The total amount of the payment for the rent minus any discounts, etc. Payment Method – The payment method such as cash, check, credit card, money order, etc. 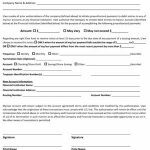 Signature – The person accepting the payment and filling out the receipt for the rent, etc. signature is required on any type of receipt. Notes – The notes should be included in the receipt for a place to include important reminders, balances, etc. You can customize this receipt template for rental payments to meet the requirements of your small business and to match your corporate brand. Of course, each landlord and property management company differs from each other, so having the templates customizable will allow you to make changes or additions to templates to best suit your needs. You an also print two receipts and keep one copy for your own records along with any copies of the lease or lease agreement.